Quality is our top priority. We work diligently to provide robust and reliable devices. Innovative, well-designed, robust devices are not enough, though. We go above and beyond by providing customer service that is dependable and responsive. Our customers appreciate the ease of doing business with us. Breas Medical is a global company with its head-office in Sweden and subsidiaries in Germany, Spain, UK, USA and China. In addition, we work with a network of highly specialized distributors in more than 30 countries around the world. Our nearly 200 employees are passionate about helping patients and customers. Breas’ mission is to be at the Heart of Breathing. We will always aim to be known as an efficient, flexible and caring manufacturer, supplying products and services, which offer improved care and efficiencies to our customer. This position reflects a company with a clear business philosophy where commercial objectives and results are inextricably linked to the individual patient and their needs. Breas has established and maintains a rigorous a quality system which meets the requirements of all markets where we operate. In October 2018, Breas successfully completed the Medical Device Single Audit Program (MDSAP) which included certification for Europe (ISO 13485:2016), USA, Canada, Australia and Japan. BREAS GROUP continuously strives to improve the patient’s quality of life to enable a better transition from hospital to home. BREAS GROUP is devoted to comply with both customer and regulatory requirements, which is essential to ensure a sustainable company. 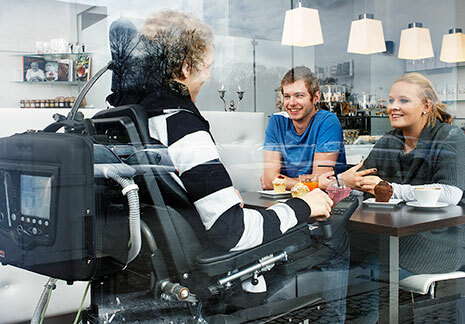 As a group we keep our customer and their patients in focus when we design and manufacture safe, innovative and high quality respiratory and sleep therapy products. An effective Quality Management System is always part of our daily work which is maintained by continuous improvements.